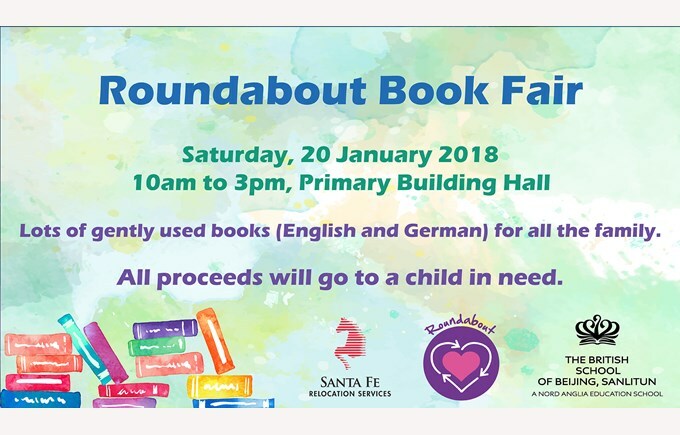 Roundabout is coming to BSB Sanlitun on Saturday 20 January, 10am - 3pm in the Primary Hall. Come and buy some gently used books and help a child in need! If you wish to donate gently used English-language books please bring them to school from Friday 12 January. We will have a table in the Hall in the Primary Building for your donations.